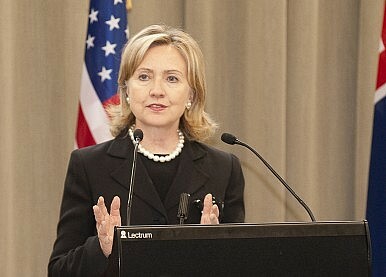 U.S. Secretary of State Hillary Clinton’s trip to India may not garner quite the same headlines her China trip did. But Iran ensures the visit may still be tricky. U.S. Secretary of State Hillary Clinton may not face a situation as vexed the Chen Guangcheng crisis during her ongoing visit to India, but the issue of how to tackle Iran could still be a thorn in the side of bilateral ties. The government of Indian Prime Minister Manmohan Singh is balancing competing U.S., Israeli, and other Western concerns that, in the form of sanctions, can seriously harm the Indian economy. But Singh also wants to avoid harming India’s good relations with these countries at a time when Indians’ enormous energy needs and lack of alternative sources mean that they will need to continue to import some Iranian oil for years to come. Add to this the fact that India also wishes to remain on good terms with Tehran, and it’s clear why the U.S. and India don’t see eye to eye. The differences risk coming to a head next month as India and the United States run up against an end of June deadline that will require the United States to impose sanctions on countries that haven’t significantly reduced their imports of Iranian oil. The Obama administration earlier announced that a dozen European countries had earned a waiver by reducing their Iranian oil imports. But only one Asian country, Japan, has so far qualified. Many of the countries that haven’t complied share India’s objections that the supplementary sanctions are unfair and violate both their national sovereignty and pride. Members of the Indian parliament have strongly attacked the sanctions, and their influence shouldn’t be underestimated given how their refusal to accommodate foreign firms for liability exemptions has stalled international efforts to deepen nuclear energy cooperation with India. India’s behavior highlights a major problem with the Iran sanctions regime. Many countries face a different set of calculations than the United States, Israel, and many European and Persian Gulf governments, which have adopted supplementary sanctions on Tehran that supplement those imposed by the U.N. Security Council. Whereas the latter group can identify a plausible military threat from an Iran that possesses nuclear warheads and long-range ballistic missiles, India, China, Russia, and many other non-Western countries consider an Iranian attack on themselves a remote possibility. The Indian government has thus opposed these additional sanctions on Iran and favored continuing dialogue and negotiations with Tehran to resolve the dispute over the Iranian nuclear issue without further sanctions. They strongly oppose even the threat of military action since that raises the costs of their oil imports – an actual war could wreck the Indian economy if it deprived India of oil from Saudi Arabia, Iraq, and other Middle Eastern countries as well as Iran. From New Delhi’s perspective, an Iran with nuclear weapons would pale as a threat to India compared with China’s growing military power and even more so Pakistan, whose strategists try to terrorize India’s population behind Islamabad’s nuclear shield. Indians share with Americans and their allies fears of nuclear terrorism, but they see this danger as emanating from Pakistan’s militants rather than Iran’s Revolutionary Guards. The Israeli equation is also important for India. Ties between New Delhi and Tel Aviv have improved markedly since the end of the Cold War and the decline of India’s commitment to nonalignment. The two countries share unease about being surrounded by a bevy of Muslim nations sympathizing with their Islamic adversaries. Against this backdrop, Israel has become a major supplier of weapons, intelligence, and high technology to India. For governments like India that don’t see Iran as a major problem, a key consideration is how much they value maintaining trade and other ties with Tehran versus what costs they might suffer if they antagonize U.S. policy makers, who are leading the drive for global sanctions against Iran. In particular, they could lose business in the United States if Washington sanctions their firms for engaging in commerce with Iran. Some of these countries, such as India, also calculate what level of interaction with Iran will risk excessive costs in their ties with Israel, Saudi Arabia, and other Iranian adversaries. The reality for New Delhi is that Iran is an important supplier of oil to India, which gets 70 percent of its oil through imports. Although Iran has now fallen one slot to become India’s third largest oil supplier after Saudi Arabia and now Iraq, Iran still provides around 9 percent of India’s hydrocarbon requirements, which amount to more than 500,000 barrels a day. Saudi Arabia has been offering to sell additional oil to India to help weaken New Delhi’s ties with Tehran, but Indian energy managers insist they have no choice but to continue to import Iranian oil. One way Tehran has countered Riyadh is by offering various discounts and other concessions to its oil clients. In the case of India, the National Iranian Oil Company agreed earlier this year that India could pay for 45 percent of oil imports from Iran in rupees instead of dollars, which is an easier to convert hard currency, but harder to use in transactions involving Iran. Trading in rupees or through barter can avoid relying on international banks that are subject to the Western sanctions. Still, in their boardrooms, the biggest factor leading some of India’s largest companies to forego commercial opportunities in Iran is the fear that these ties will endanger their business reputations, engage them in projects that will prove unprofitable due to constrained access to Western technology and financing, and entangle their foreign operations in the extensive network of secondary sanctions that the United States has constructed to entrap all entities that have any ties with Iran’s illicit nuclear activities. However, some Indian business managers are eager to exploit Iran’s isolation from international markets, which the sanctions will deepen, for their own profit. This is particularly true of small businesses that don’t have commercial ties with the United States, Europe, or Western companies. But even some larger Indian firms seem to hope that they can conceal their business ties with Iran and slip below the U.S. Treasury’s radar. The unrest in Syria has underscored a broader Middle East game being played between the United States, Russia and China.